The Vale of Belvoir Machinery Group was born out the desire of a tiny band of East Midlands enthusiasts to enjoy working their vintage tractors without the competitive rivalries often found at ploughing matches. From these simple beginnings, the VOBMG has grown rapidly and now boasts around 130 members of all ages and occupations. 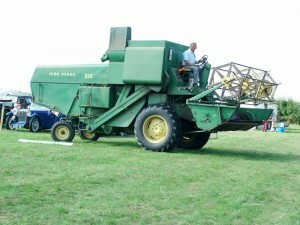 Some have their own tractors and enjoy putting them to work at events around the East Midlands; Others help out with the Club’s own threshing machine or other working exhibits and some just prefer to spectate from the sidelines. The one thing we all have in common is a desire to ENJOY OURSELVES in an environment of friendship and safety. We are based at the Canal Farm Vintage Centre just outside the little village of Harby in the picturesque Vale of Belvoir. Canal Farm, owned by award-winning tractor restorer Ben Craig, is the venue for our regular monthly meetings. Regular meetings are held on the second Thursday of each month, normally at Canal Farm, Harby and normally include a visiting speaker. During summer months, however, we like to visit local (and sometimes not so local!) collections, farms or other places of interest. 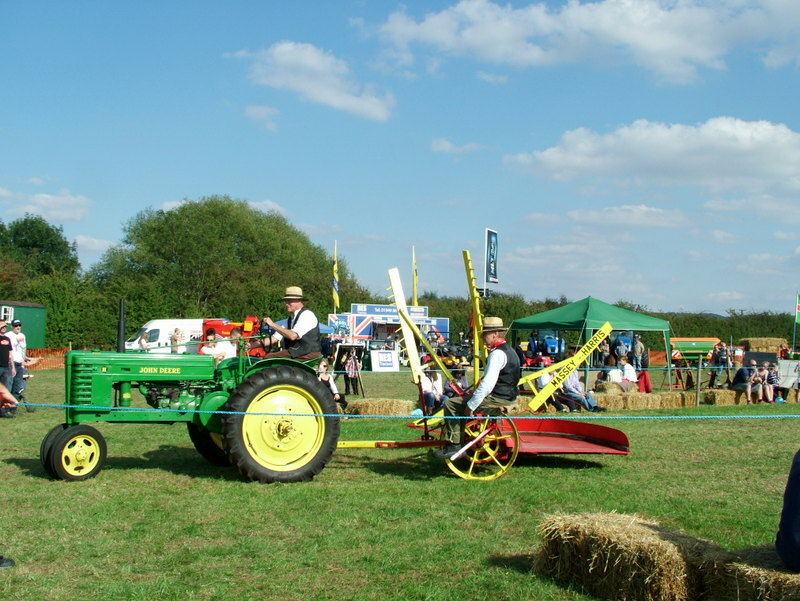 We attend several steam & vintage rallies around the East Midlands, including the Rutland Show, Hoveringham and Southwell Shows. Often we have a dedicated VOBMG area where member’s tractors are shown. 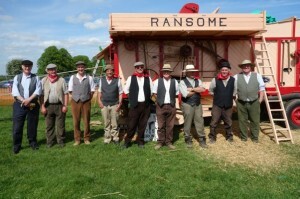 The VOBMG also own a Ransomes threshing machine which we restored during 2011. 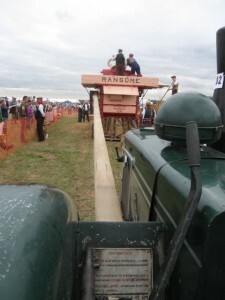 Long-strawed wheat is grown at Canal Farm & harvested using old machinery ready for threshing at these local rallies & events. We take great care in recreating the threshing scenes of years gone by & take a pride in really “looking the part!” What really makes Harby special though is the fantastic, friendly and relaxed atmosphere. If you are interested in old farm machinery and would like to join in with like-minded enthusiasts then the VOBMG is for you! You don’t need a concours condition tractor, or even to own a tractor at all. Neither do you need to be a match ploughing expert – we’re not! The only requirements are an interest in the countryside, old machinery and a willingness to get involved. Come along and join in – we’d like to meet you and welcome you into the VOMBG. Find out how you can join in and perhaps become a VOBMG member on our Contact Us page.